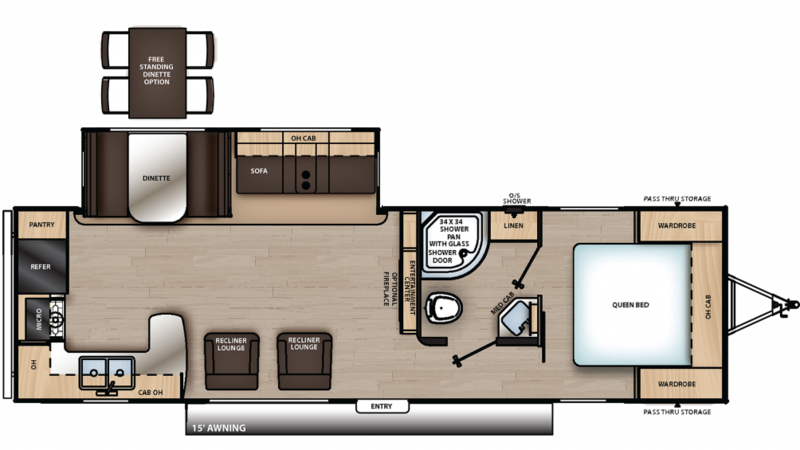 Go on the trip of a lifetime with the 2020 Coachmen Catalina Legacy Edition 283RKS Travel Trailer! All Seasons RV in Muskegon is one of the top full-service RV dealers in Michigan! Our huge inventory, amazingly low prices, and fast, easy financing mean that you can own the RV of your dreams! Our huge indoor showroom means you can stop in and explore all of our great RVs, rain or shine! Our expert staff can answer all your questions and show you how easy it is to fit your favorite RV into your budget! We're conveniently located at 4701 Airline Rd Muskegon Michigan 49444 so stop in today! Don't live in Muskegon? No problem! We've got fast, reliable door-to-door delivery anywhere in Michigan and the nation! So call us at 231-739-5269 and let us make your RV buying experience a pure joy! The handsome 2020 Coachmen Catalina Legacy Edition 283RKS is easy to tow and ready to go, thanks to a hitch weight of 735 lbs. and GVWR of 9200 lbs. The easy opening 15' 0" patio awning provides comfort and shade for relaxing outdoors! 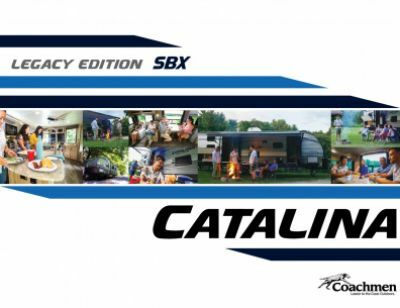 There's room for the whole family to live comfortably on the road in the 2020 Catalina Legacy Edition 283RKS because it's a roomy 32' 6" long, 8' 0" wide, and 11' 1" high! And the 1 slides open up to maximize the interior space! The climate will stay pitch perfect inside, thanks to the modern 13500 BTU a/c unit and the efficient 35000 BTU furnace! When the sun goes down and it's time to turn in for the night, you'll love the great sleeping accommodations inside this RV, especially the handsome master bedroom with its comfortable Queen bed! It's warm and spacious, and you'll ease off to dreamland in no time! There's enough sleeping space for up to 4 people! Meals on the road can be challenging! Eating out all the time is expensive and fast food isn't healthy! What's the solution? Enjoy the fantastic kitchen with modern cooking appliances to make great meals for your family! The 7.00 cu. ft. refrigerator can stock all your favorite foods, and the 3 burner cooktop will let you whip up tasty chicken, fish, hamburgers, and bacon, eggs, and pancakes! Cleaning dishes is easy thanks to the 44 gallon freshwater tank.